From complete beginners to seasoned art-makers, adults and teens aged 16+ will discover a host of classes and workshops in clay, painting, drawing, glass, fiber, and more, all led by professional teaching artists. Make Artistry your home for lifelong arts learning and enjoy bright, open studios; low teacher-student ratios; and a supportive environment that fosters a sense of community. Offerings range from one-day workshops to weekly classes with day and evening options. Spring session includes classes and workshops in clay, painting, drawing, glass, fiber, and more. Our Affiliated Arts workshops provide opportunities to explore a medium outside the scope of traditional fine arts, while Business of Art classes offer information on career development, finance, marketing, and other topics tailored to practicing artists. Schedule a two-hour clay experience just for you and your friends, family, book club, co-workers, or all of the above! Recruit your group of four to twelve adults and enjoy a Clay for A Day workshop whenever it works for you. 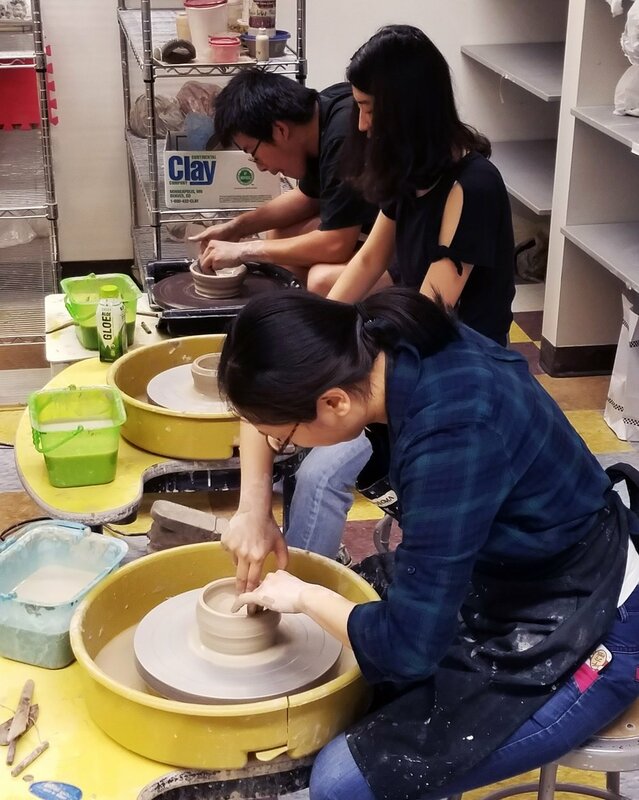 With at least two week's notice, we'll match your group with an experienced instructor who will help everyone create two pieces on the pottery wheel. Several glazing options are available, and pieces will be ready for pick-up roughly three weeks after your workshop.